Home Ideas About Creativity Who Finds Who? Who finds who? Do you take your photographs or do they find you? That is the question that I’ve be pondering lately. As a photographer, do I actually take the photos or do those photographs find me? Am I creating a photo or am I simply in the right place at the right time? Yes, I realize this concept sounds rather “out there” but hang with me for a moment. This idea is another way to look at the concepts that Brett broached yesterday. When I pack my box of mini figures and head out to my intended location, I often spend time simply standing and waiting. Once I have the feel of the place I will look around for a likely location to begin. This could be an area that has interesting light, or a bit of moss that is appealing or a puddle on the ground. Where I begin, rarely makes a difference on how successful my photography experience will be. Usually I will set up my toys in a haphazard manner and hope for the best. I don’t agonize about my locations or angles until I’m looking through the lens. The photo will either be there or it won’t. The other day I was roaming around Magnuson Park, one of my favorite places to photograph. This location has a swamp, grassy savannas, small puddles and many nooks and crannies that can satisfy even the most discerning toy photographer. I had two photos in mind, one with a boat and one with a truck. I played around for a bit and captured a few images; nothing especially amazing. But when I glanced to my left, I was blown away by the beauty of the light on the water. Eureka! Here was the photo I didn’t know I was looking for! 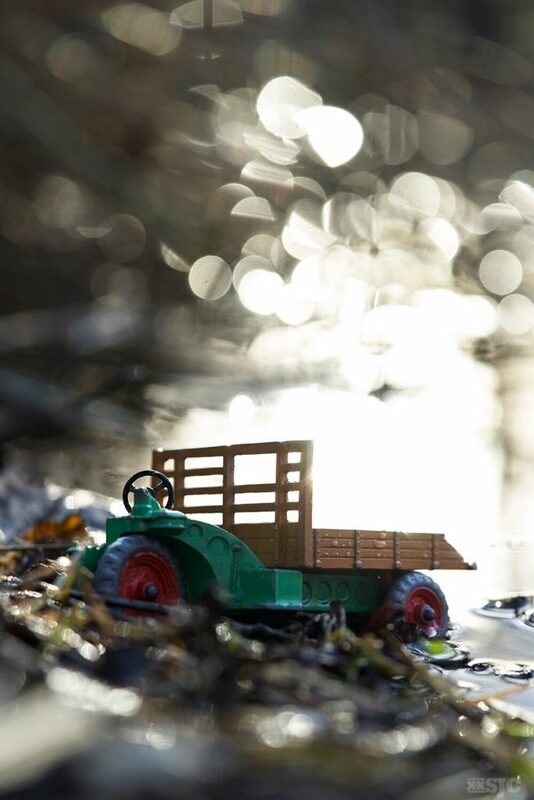 I pulled the toy truck from my backpack and set it down at the waters edge and began photographing. The image I had been looking for, found me. While this image doesn’t feature LEGO, it maybe one of my all time favorite photos. This photo is filled with decay, magical light and has a story to tell. It’s a photo I didn’t know existed until I casually glanced to my left and it was there waiting for me. I know you probably thing I’m bonkers but I think there is something to the idea of not forcing an image. The photo will find you when it’s ready. It’s easy to plan, over think, force a situation because you want to capture a particular idea. As I get older I realize you have to relax and be open to finding an image. Open to seeing the world in new ways. This may not make sense for a studio photographer, but I hope this thought process will resonates with other outdoor toy photographers. When you’re in nature you have to be open to the unexpected. You never know where an image will appear. Some days I go out and come back with several photos, sometimes only one or two sometimes none. No matter what the results, I’m happy because its all part of the process. Who Finds Who? I don’t know the answer to that question. But I do know that the photos I’m looking for are out there. I simply have to be open to the possibilities and wait for them to find me. Do you take your photos or do they find you somehow? For more information about how Taoism and photography work together, check out the book: Tao of Photography: Seeing Beyond Seeing by Phillip L Gross and S I Shapiro. Previous PostWhen in doubt, deadlines and challenges! Thanks for sharing. It’s an amazing image you found… and I find the idea Interesting. I get your point, but I’m not sure it’s me though. I have to have an idea of what sort of images I’m looking for before I go out – otherwise I can’t find anything how hard I try. So I’m not sure that the images finds me. I see meself more like hunter out to find my pray. I think I’m more of a outdoor studio-photographer then a nature-photographer in this area. I couldn’t agree more – we are the same but different 😉 to be honest I wish I could go out and find my image… but I don’t get anything working the way I want when I try 😉 I love that fact that there are different methods to work and find what we’re looking for. This is exactly how I feel all the time. I go out in the desert or on a hike with a few figures and a simple idea. But I always tend to get a way better picture than I was planning and it’s not even close to my idea when I started out. I think it is something that grows with practice. Learning to not overthink a particular shot and instead flow with the ideas and inspiration that come to you at the moment. That is how I have gotten my best images. Shots in the moment. Shots of the moment. And it is only a moment. Then it is gone – but the capture is there. That excites me. when I know I have captured something inspiring to me that was not planned or anticipated. The more I act on those momentary chances the more of them pop up. Oh that truck photograph! What an absolutely gorgeous shot! I’m so glad it found you. I too always set out with some vague ideas of what I’m looking for, yet sometimes, not as often as I’d like, an entirely new end result is found. Or maybe it finds me? I’ve tried heading out with zero plans. These ventures usually find me returning home with nothing but frustrations. Maybe it’s a combination of the two; us finding the photos and those photos finding us? I’d like to think that all the photos I’m most proud of are a combination, a surprising collaboration. That is a beautiful, beautiful image, Shelly! I can see why it’s one of your faves. And I love the vertical crop you chose for it! Kristina saved me the trouble of writing up my process because mine is so similar to hers haha. Actually, my process is similar to yours as well, but instead of wandering and happening along an interesting setting my mind wanders and happens along to what I think is an interesting concept. For me the challenge has always been the concept/idea/story. If I solve that then the image is already 90% finished without even having picked up the camera yet. Of course I have taken toys and just hit the proverbial road, open to whatever comes – and it’s fun, but it’s not typical the way I work. It’s definitely a combination for me. The photo’s at home were the main cast is not involved I mostly had to look for. Some of my minifigures have a personality (well sort of 😉 ) and those photo’s find me. 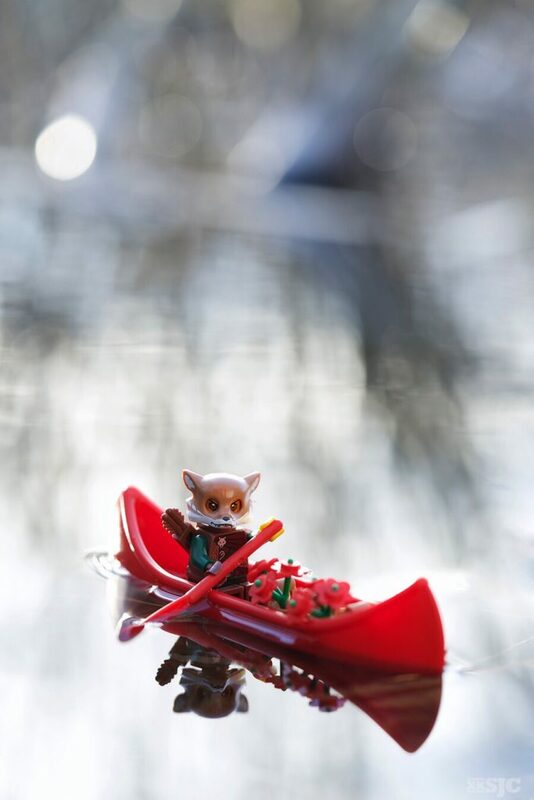 When I’m outdoors and I have some minifigs along find me, I look at the surroundings and see the photo pop up. I’ll do both. Sometimes I know what I want and sometimes I have my figs with me and just let the locations talk to me. Sometimes I just pick the figs I want to shot and take a walk and see if I can find somewhere for them to do their thing. 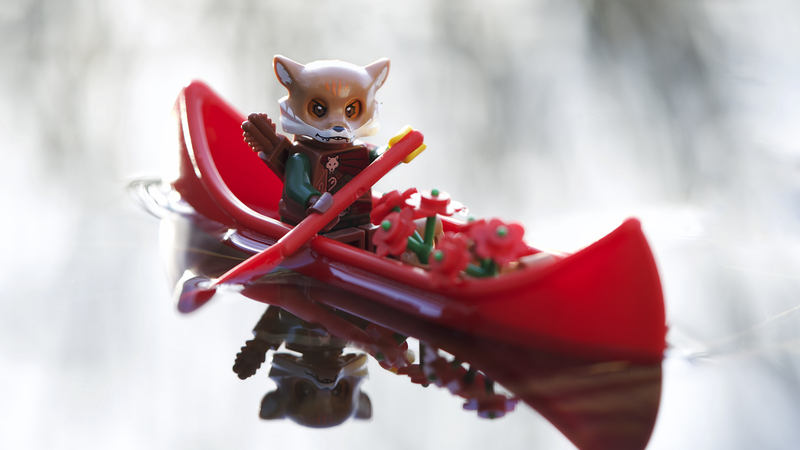 A bit of both… in part you start with the intention of one image, or with the idea that you’re going to use this minifig, or this location and you’re locked into that, but the story that evolves beyond that is rarely the one I set out with. Definitely both for me, especially being mostly an outdoor photographer. Even if I have my figures and basic story concept figured out, the location, lighting, angle, and weather dictate what image I’ll walk away with. My Medusa Tail image is definitely one that found me. I love your truck image! I always have a rough idea of an image in my head before I go out so I can decide which figures and accessories to take, (I have so many!!) but quite often that vision will morph into something completely different once I’m at my location. I love that. So, yes, I suppose a lot of my images find me. Although I do still quite often take the original image, I usually find the unplanned one is better. It’s always been the same with my “normal” photography too, so I suppose I have learned over the years to keep an open mind and an open heart, and to always, always, look behind you, because sometimes images appear where you least expect them. Beautiful response Ann; you’ve summarized my thoughts beautifully. You have to have a plan, (ok, more of a sketch) in your head, but be open to the unexpected. I’ve always felt the world will serve up photos more interesting than anything we can every image ourselves. Thanks so much for joining the conversation!